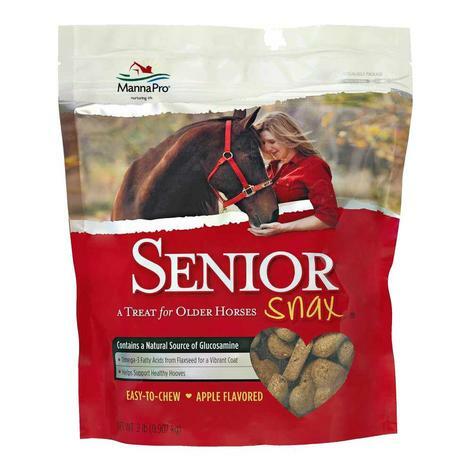 Manna Pro Senior Snax are developed with the health concerns and needs of senior horses in mind. These tasty and easy-to-chew appled flavored treats are baked with special ingredients such as Glucosamine (an amino sugar), Omega-3 fatty acids from flaxseed, and Bitotin. 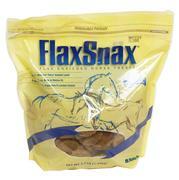 Senior Snax aid in ensuring your senior horse has a vibrant coat and healthy hooves. Made with the needs of senior horses in mind. Supports vibrant coat and healthy hooves. Easy-to-chew baked treat (great for seniors with poor tooth quality). Little Giant Plastic Better Bucket 20 Qt. The Little Giant Better Bucket with 20 quart capacity is an ergonomically designed angular livestock feeder made to acommodate animal's facial structure. Made with high impact durable polyethylene plastic to endure tough use on your farm or ranch. It has tapered sides which funnel feed towards the back of the bucket and a flat-back for added stability against fences or walls. It can be mounted with either a bracket or snap hooks (not included), or hanged using the heavy-duty notched metal handle. 20 quart (5 gallon) capacity. Angled design allows for natural eating posture. Flat-back for added stability against fences or walls. Notched heavy-duty metal handle for hanging. 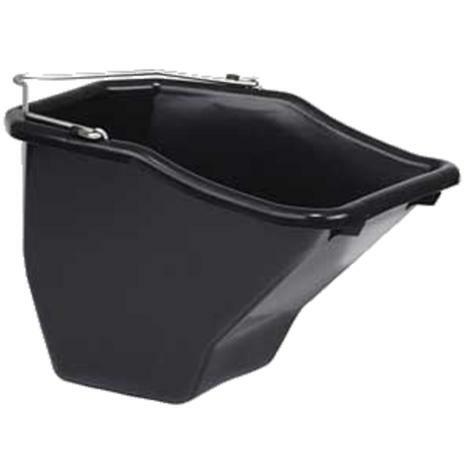 Little Giant Plastic Better Bucket 10 Qt. The Little Giant Better Bucket with 10 quart capacity is an ergonomically designed angular livestock feeder made to acommodate animal's facial structure. Made with high impact durable polyethylene plastic to endure tough use on your farm or ranch. It has tapered sides which funnel feed towards the back of the bucket and a flat-back for added stability against fences or walls. It can be mounted with either a bracket or snap hooks (not included), or hanged using the heavy-duty notched metal handle. 10 quart (2.5 gallon) capacity. 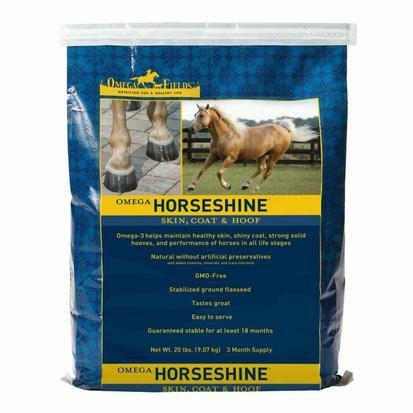 Omega Horseshine is a powerful bountiful source of stable milled flaxseed, rich in Omega-3. The Omega-3 stabilized ground flax seed supplement for horses - made with stabilized and freshly milled flax - to help maintain a shiny healthy coat, strong solid hooves, and top performance - for horses in all life stages. Dry scaly itchy skin, joint pain/inflammation, poor hoof growth, allergies, pregnancy, etc. may indicate a deficiency of Omega-3 essential fatty acids in the diet. To overcome these deficiencies, the horse may need to get an increased serving size (up to 2 to 3 cups) of Omega Horseshine every day, short term. If your horse were out on pasture with all natural grasses and plants of your region, they would naturally be supplementing their diet with Omega-3 –with plants high in Omega-3, such as purslane. Unfortunately this isn’t the case, and if you are lucky enough to have pasture for your horse – it is not natural grassland. 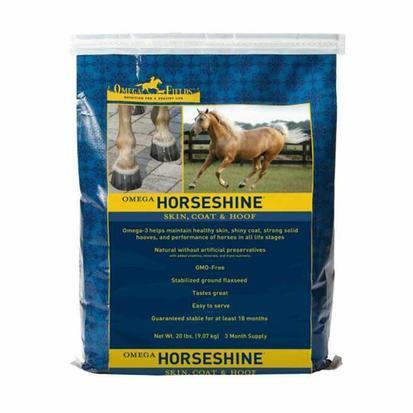 It is necessary to supplement your horses’ diet with Omega Horseshine - Omega-3 rich ground stabilized flaxseed. 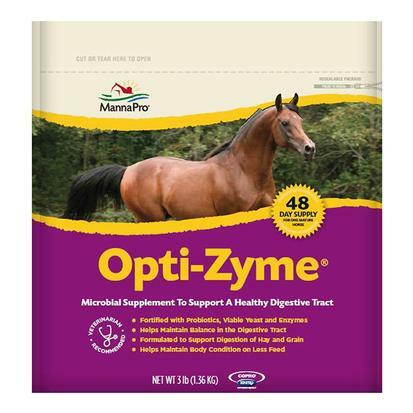 Manna Pro Opti-Zyme provides a source of naturally occurring viable yeast, enzymes and beneficial bacteria (probiotics), Viable Yeast and Enzymes Formulated to enhance the digestibility of hay and grain. 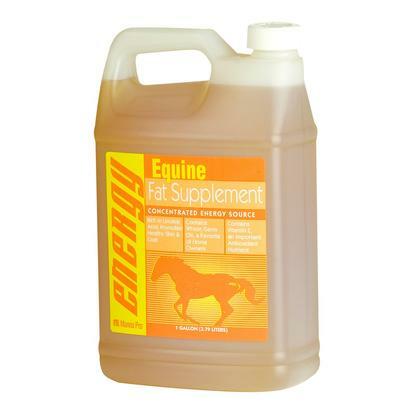 Helps maintain body condition on less feed. Meal form is an easy to feed 48 day supply for one mature horse.